John worked as a senior economist in a major Australian organisation for a number of years and is an experienced business analyst. In this role he completed a twelve month secondment in London with one of the largest international marketing agencies. He has held senior positions with a number of Australian government agencies (Commonwealth and State) in Queensland, Victoria and Tasmania. For the past eight years he has worked as a consultant primarily in the technology, education and health sectors. 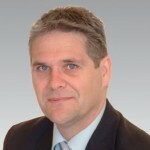 His work in the health sector has included the provision of consultancy and marketing services to the VHIA and organizational reviews in public hospitals in Victoria, NSW, Tasmania and the ACT.